In 1876, Capt. Thomas Tidball, a Civil War veteran and native of Pennsylvania opened a store in Jolon with his former military friend, George Dutton. Around 1878, the partnership was dissolved and Capt. 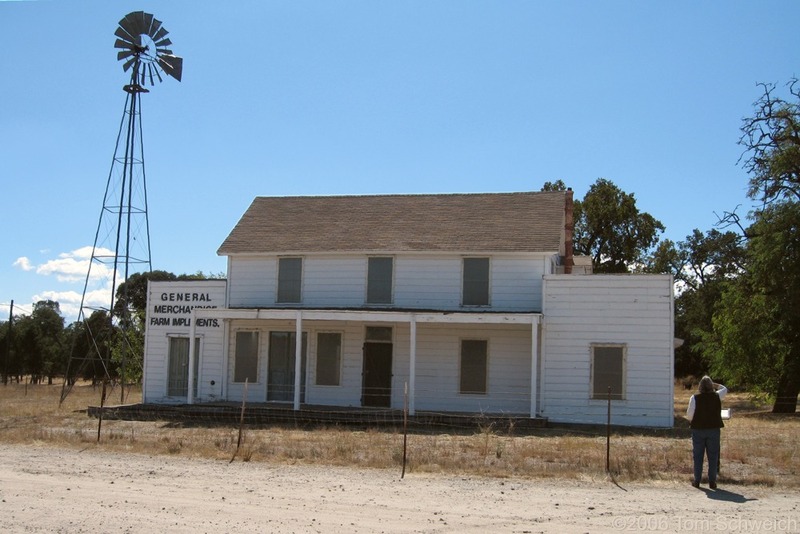 Tidball moved his business a quarter mile south to a small adobe building constructed by the Pacific Coast Stage Company as a stopover for stage drivers. Incorporating parts of the original adobe, he built a two story redwood structure in the New England tradition. There he established a hotel, a general store, post office, livery stable and saloon. Tidball's establishment served miners, settlers and local Indians. Tidball sold his business to the Ganoung brothers in 1900. They in turn sold it to the Duck family in 1913 for $1,500 in gold. The Duck family operated the store for six years. Meanwhile the town's populaton dwindled away as King City became southern Monterey County's major center of trade. Ramona Duck Sutfin continued to operate the store off and on. It became the first service station in the area during the 1920's. Fire damaged the building in 1972 and it was closed. In 1978, Mrs. Sutfin deeded the store to the San Antonio Valley Historical Association who in turn deeded it to Monterey County. The building was listed on the National Register of Historic placed in 1976. County Route G14: at Mission Road. Other photos about Geography - California or Monterey County.